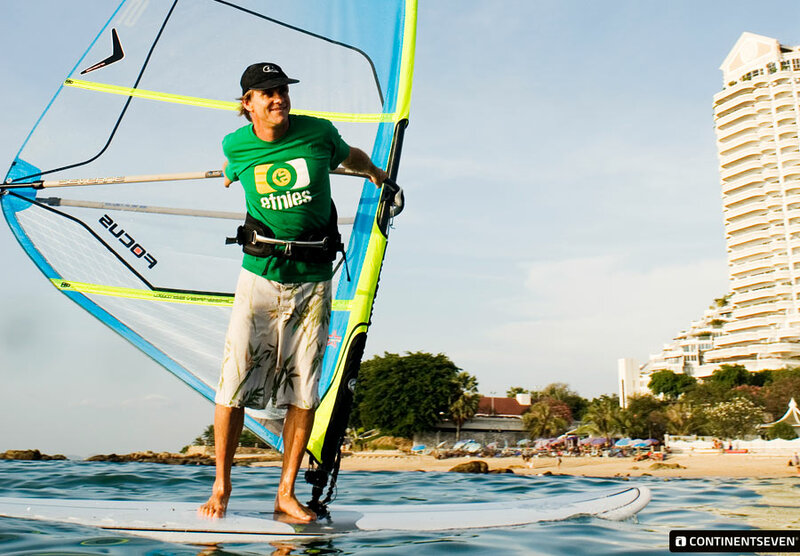 Svein Rasmussen is one of the big players in windsurfing nowadays. He started windsurfing in 1978 and won the Mistral Worlds in 1983. He was a gold medalist candidate for the 1984 Olympics and spent 10 years on the PWA circuit. In 1991, he became the first sailor to win all disciplines in the IFCA Production-board Class Worlds. 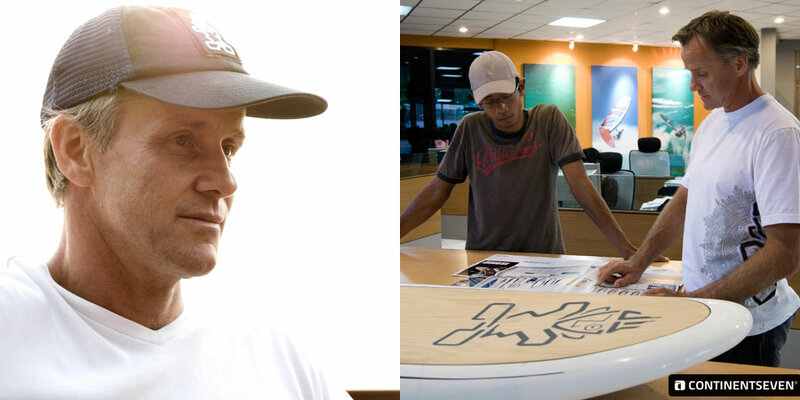 50 year-old Svein is the owner of Starboard and explains in the following interview, how everything started, from the beginning at the Arendal Sailing club in Norway to a professional Worldcup racer and later to a businessman and successful board producer in Thailand, who delivers boards all around the world. The smart Norwegian stopped his professional windsurfing career in 1993 and decided to take the risk starting an own business. Svein started with almost no money, but had fresh ideas and new technologies ready. Plus he got the necessary knowledge, skills and experience during his windsurfing career, what helped Svein to continue with success. But he needed a few years to realize what’s missing in windsurfing: the wide, short boards. He developed together with his team and the help of Jim Drake, one of the inventors of windsurfing, the GO boards and started with the experiment of Formula Windsurfing, what became a successful Racing class in windsurfing. Nowadays Svein can offer windsurfing boards for each level, interest, age and weight of a sailor in almost 20 different lines. Svein is still not tired. Famous for his energy levels and bold creative character, Svein continues to push for radical ideas in the quest to bring windsurfing to new levels. He is able to reinvent former ideas and inventions and adapt them with his spirit and big team for the actual time. His visionary leadership and big investment in team riders and R&D helps him to improve his products. He has not only advocates as he went many times over the limits by launching crazy products but often spotted new trends quite early. There are definitely many product developers out there, who had a decent look on Svein’s products in the past.